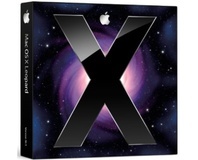 Earlier this week at its Worldwide Developer Conference keynote, Apple released some details about the next version of Mac OS X, Snow Leopard, which is set for release in September 2009 - at least a month ahead of Microsoft's purported Windows 7 release. Today, we're going to have a quick look back at what was announced and how it's going to impact the OS market. However, before diving into Snow Leopard's nitty gritty, it's worth talking about some of the things Apple said during the keynote which, frankly, were a little below the belt. Bertrand Serlet, Senior Vice President of Software Engineering at Apple, couldn't resist taking a jab at archrival Microsoft. "What a sharp contrast with what's been happening up north [in Redmond]." "Indeed, Microsoft has dug quite a big hole for themselves with Vista, and they're trying to get out of it with Windows 7," he said. "But underlying Windows 7 you have the same old technologies: DLLs, the Registry, Disk Defragmentation - no end user should ever have to know about that." As if that wasn't enough, Serlet took a swipe at Microsoft's security record, saying that they're even more complex in Windows 7 to prevent a PC from being infested with malware. 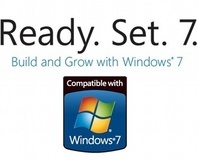 "So that's Windows 7 - the same old technology as Vista. Fundamentally it's just another version of Vista," he snubbed. What we learned from this tirade was that Apple is worried about Windows 7, very worried in fact. Serlet's tirade was unexpected and his version of the "facts" about Microsoft's next OS were bordering on fabrication at some points. Yes, it contains DLLs, yes it has a registry, yes it still has a Disk Defragmenter, but no, it's not fundamentally just another version of Vista. Much to our appreciation, Serlet then (finally) moved onto what we had all tuned into hear about - Snow Leopard - which, by all accounts, is shaping up pretty well and looks very promising. There was simply no need for Apple to dig at Microsoft because Snow Leopard stands on its own two feet as an incredibly exciting operating system. 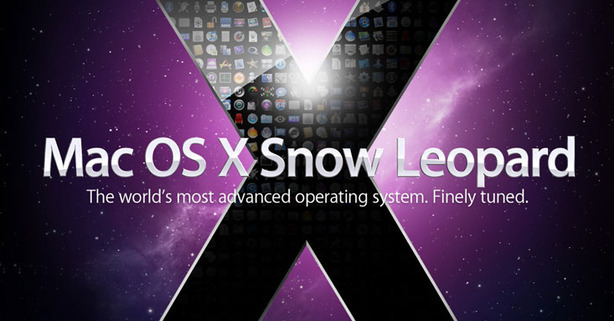 Apple's aim with Snow Leopard was to build a better Leopard, by building upon what was achieved with Leopard. "We love Leopard," said Serlet. "We're really happy how it has turned out and we're proud of it." With this in mind, Apple said it has made lots of refinements across the board, powerful new technologies introduced and full Exchange support added. Specifically, there are new versions of Safari and QuickTime; a number of interface updates for Finder, Exposé and the Dock; native Exchange support through Mail, iCal and Address Book; and updated hardware support, including native 64-bit, a parallelisation aid known as Grand Central Dispatch and OpenCL. Indeed, Serlet said that Apple although there aren't a lot of new features on the surface, almost 90 per cent of the OS has been rewritten and optimised in some way. One of the biggest focuses for Snow Leopard is speed - it will take 45 per cent less time to install and you'll recover 6GB of space from your Leopard install if you upgrade. Things like previewing images have been sped up - opening a JPEG is now twice as fast, while PDF opening is one and a half times faster. Common operations in Mail have been improved as well - examples cited by Serlet include moving messages (2.3x improvement), search (1.9x) and launching the application (1.8x). 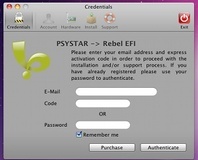 Despite the launch of Windows 7, figures from market watcher Net Applications show Microsoft's Windows OS losing ground to rival Apple's Mac OS X.
Psystar has announced the launch of a commercial software package to ease the installation of Mac OS X Snow Leopard on non-Apple hardware. A bug in the Snow Leopard version of Apple's Mac OS X - triggered when logging in as the guest user - can result in the permanent loss of all user files and settings.